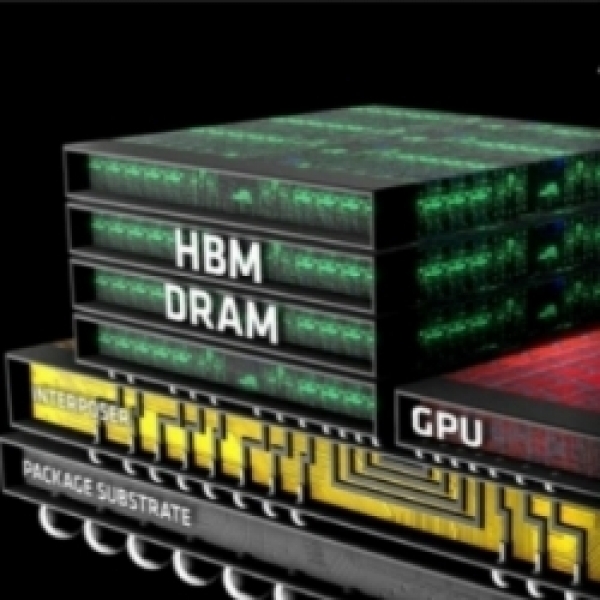 Still even with 2.5D there are significant challenges to HBM adoption. AMD has found that a shortage of memory can cause you big issues in getting product to market. This is even more true when your competition has an option that is close in price and performance using a readily available design. This move has lit a fire under at least one GDDR manufacture and they are promising a fairly big leap in bandwidth for their product. Micron has made it official saying they will be able to hit speeds of up to 10-14 Gbps with densities of up to 8GB. This will have the same form factor as existing GDDR so there will be no need to change GPU or PCB designs to accommodate an interproser layer. This increased bandwidth and density will also allow for more memory to be dropped on a single card and you can guess what that will help with. By comparison because of the 1024 bit bus width, each HBM 1.0 chip has a bandwidth of more than 100Gbps. 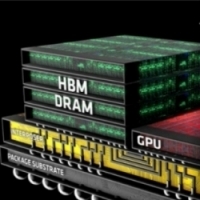 HBM 2.0 will increase this as well as push the density limit on each chip. GDDR5 has a 32-bit bus (two of them) with up to 28Gbps. Now one of the biggest differences if in the speed of the memory. HBM 1.0 has a frequency of around 500MHz, GDDR5 runs up to 1750MHz. The speed of the chip provides a major factor for GDDR performance. Micron could be pushing speed or a wider memory bus to hit the 10-14Gbps hinted at. It really does not matter which as long it is available and cheaper than the alternative. This gives AMD and NVIDIA two buckets to pull from when they are designing their GPUs in the next few months. They can reserve a spot for higher end cards with HBM 2.x as well as build out GPUs with GDDR under the hood. Both look to have the bandwidth and densities for 4K game play with additional eye candy thrown in. Of course availability will determine which cards hit the market first. From there the performance numbers from the review sites might decide if HBM will end up getting the consumers money. In round one AMD’s HBM loaded Fury X was far from undisputed in terms of performance, but some of that might have been GPU optimization issues combined with bad drivers. We will know more when the second generation hits and NVIDIA has had the chance to weigh in on the argument.